Born in Banff, he was the son of a master mason, and the father of sculptors William Birnie Rhind and J. Massey Rhind. He trained under A H Ritchie in Edinburgh, where he remained for the rest of his career. He produced much architectural sculpture in the capital, including the portrait heads on the Royal Scottish Museum (1859); sculpture on the Bank of Scotland, Bridge Street (1864-70); Fettes College (1864-70) and the SNPG (1891). He also executed the Celtic cross and bronze portrait to the poet Alexander Smith for Warriston Cemetery (1867), and the statue of Sir William Chambers, Princes Street Gardens, assisted by William Shirreffs (1888-91). Outwith Edinburgh, he executed the Biggar Memorial Fountain, Banff (1878) and the Agriculture and Shipbuilding reliefs in New County Hall, Paisley (c. 1892). 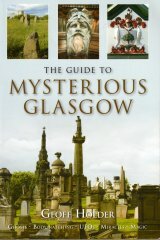 For Glasgow, he produced the Purnell Family Monument, Sighthill Cemetery (c. 1872) and the seated statues on the City Chambers representing History; Hygeia; Harmony; Piety; Peace; Plenty and Prosperity (1888). Rhind exhibited at the RSA , 1857-92, RA , and RGIFA . He died a few days after being elected an ARSA , in 1892. Buried in Warriston Cemetery, Edinburgh, his monument features a bronze double portrait medallion bearing profiles of himself and his wife by one of his sculptor sons, J.M. Rhind.